It was an exhausting 13-hour flight from Montreal to Honolulu with a connection in New York, but I did not complain. 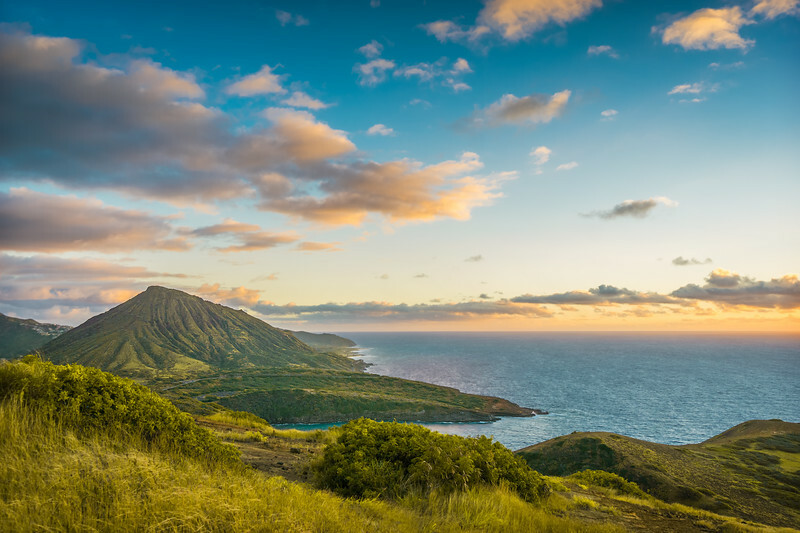 It was the middle of January with temperatures below -20C in Eastern Canada and, in O’ahu, it was +25C with high humidity and mild temperature fluctuations between day and night. The water temperature in the ocean was 25C making it comfortable at any time. I took full advantage of the weather and woke up around 3am every morning to drive to different parts of the island for sunrise hikes. 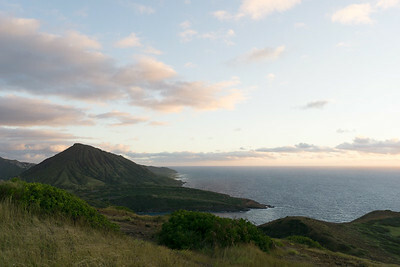 The highlight of my visit to Hawaii was a day-long hike around Hanauma Bay. It was my very first trip with my brand new Sony a6000 camera just weeks after selling all my Canon gear and making the switch to mirrorless. When I was shooting, I fully expected to use the HDR technique to create the final sunrise image of Hanauma Bay. My consideration for applying the HDR technique here was based on my experience with my Canon since I was not yet entirely comfortably with my new Sony. Only later during editing did I realize that the Sony sensor has a much wider, dynamic range than my Canon. This meant that my calculations when considering the use of HDR had to be adjusted accordingly. In the case of the featured photo, I processed it as a single RAW image without using the HDR technique. Only later, I realized that my switch to Sony allowed me to reduce using the HDR technique by more than half. The quality of images produced by the Sony’s sensor with the combination of its incredible dynamic range made my workflow much simpler. The processing of the photo was straight forward without any complications. It took me around 10min. 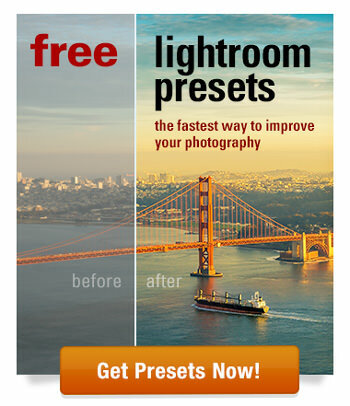 I used the Lightroom Rapid Editing workflow first. I used the Point Lobos preset from my Landscape Collection first and after I used TOOLKIT to boost colors and contrast. I jump to Photoshop where I used the Stamp Tool to cleanup the background and run the Topaz DeNoise plugin to reduce the digital noise.